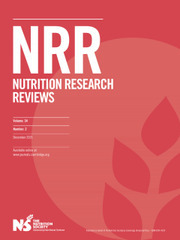 Nutrition Research Reviews offers a comprehensive overview of nutritional science today. By distilling the latest research and linking it to established practice, the journal consistently delivers the widest range of in-depth articles in the field of nutritional science. It presents up-to-date, critical reviews of key topics in nutrition science advancing new concepts and hypotheses that encourage the exchange of fundamental ideas on nutritional well-being in both humans and animals.